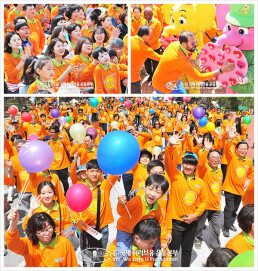 On a delightful spring day with warm sunlight, people gathered by family with good hearts and smiley faces to spread hope to our global villagers. 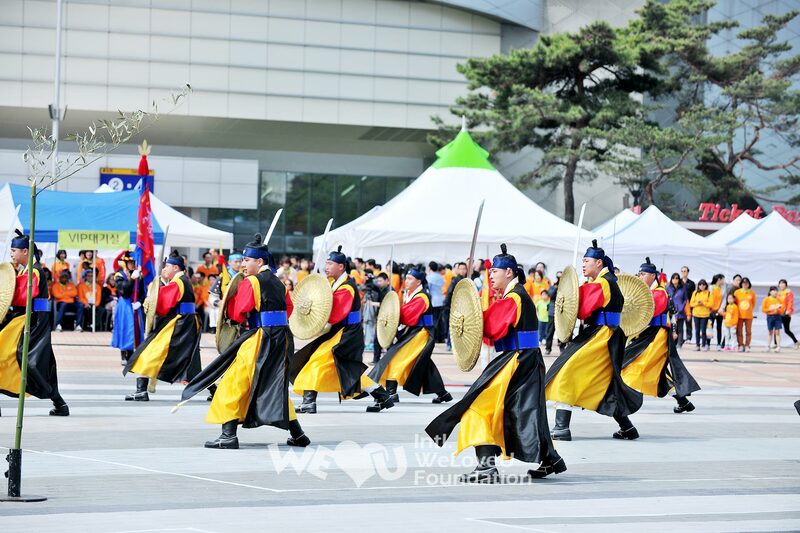 The whole square was soon filled with the sound of their laughter. 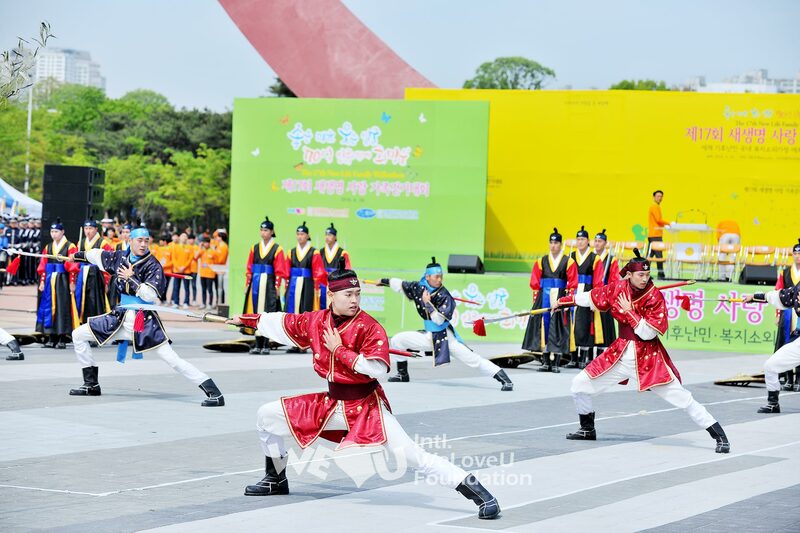 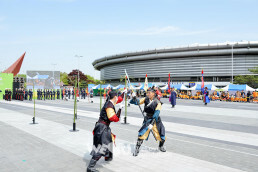 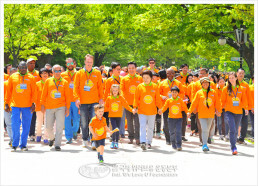 On April 24, 2016, the 17th New Life Family Walkathon was held at Han Eul Square at Seoul Olympic Park; it was hosted by the Intl. 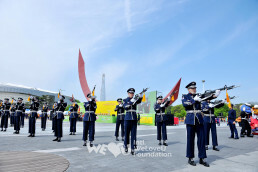 WeLoveU Corporation and the Intl. 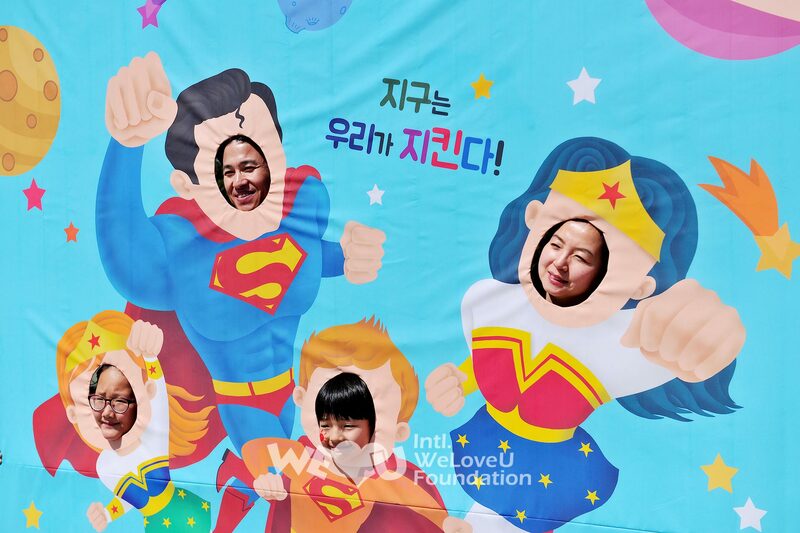 WeLoveU Foundation, and was sponsored by the Ministry of Health and Welfare, Seoul Metropolitan City, the Korea Association for Prevention of Child Abuse and Neglect, and Sejong General Hospital. 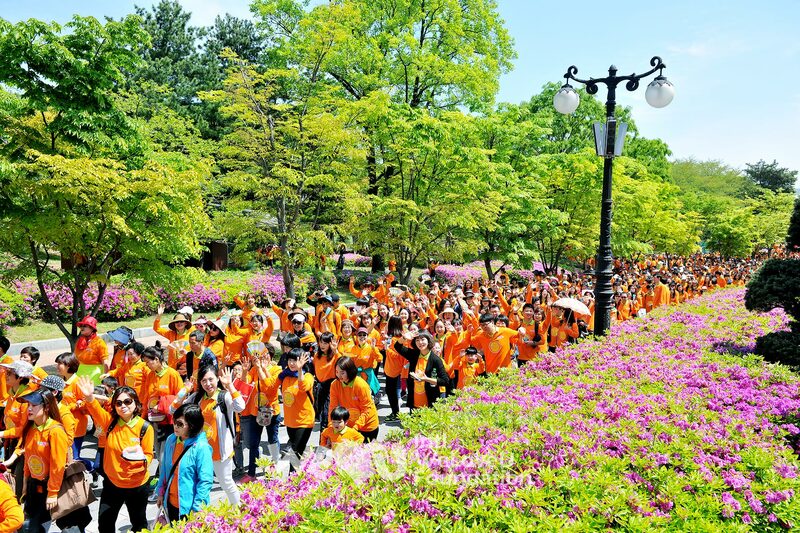 Around 13,000 Foundation members and citizens came to spread the hope of life through a mother’s love to Korean households marginalized from welfare service, climate refugees worldwide, and Ecuadorian earthquake victims. 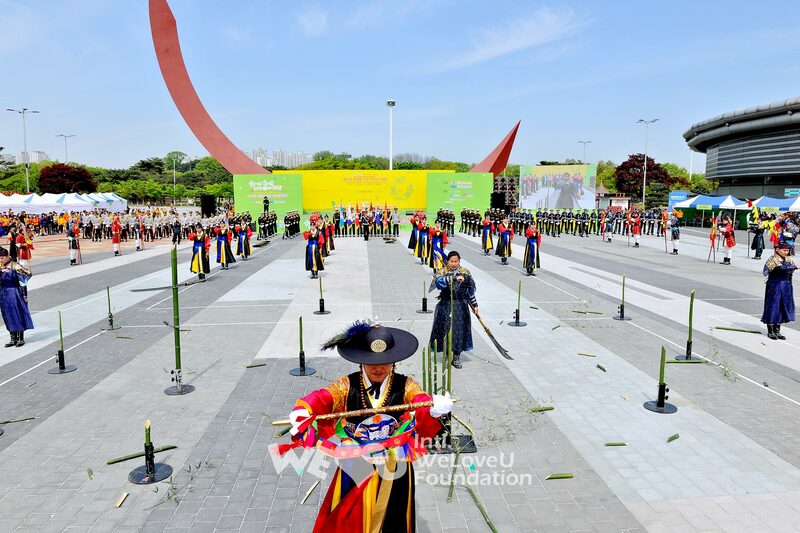 Chairwoman Zahng Gil-jah of the WeLoveU Foundation, Executive Director Lee Gang-min of the Foundation, and Lee Bae-keun the President of the Korea Association for Prevention of Child Abuse and Neglect, many diplomats from about twenty countries such as ambassadors of Ecuador, Bangladesh, Spain, Gabon, etc. and their families were also present at the walkathon. 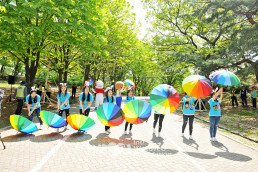 At around 10 a.m., the walkathon started with a lovely performance by the New Life Children’s Choir. 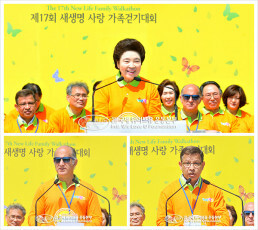 At around 11 a.m., the guests were introduced, and Chairwoman Zahng Gil-jah of the WeLoveU Foundation explained the purpose of this walkathon at the opening ceremony, “We’re going to give hope and courage with a mother’s love to the families marginalized from welfare service in Korea, the earthquake victims and climate refugees whose lives collapsed in front of disasters.” She appreciated the participants and said, “Enduring a short and painful life alone is a misfortune. 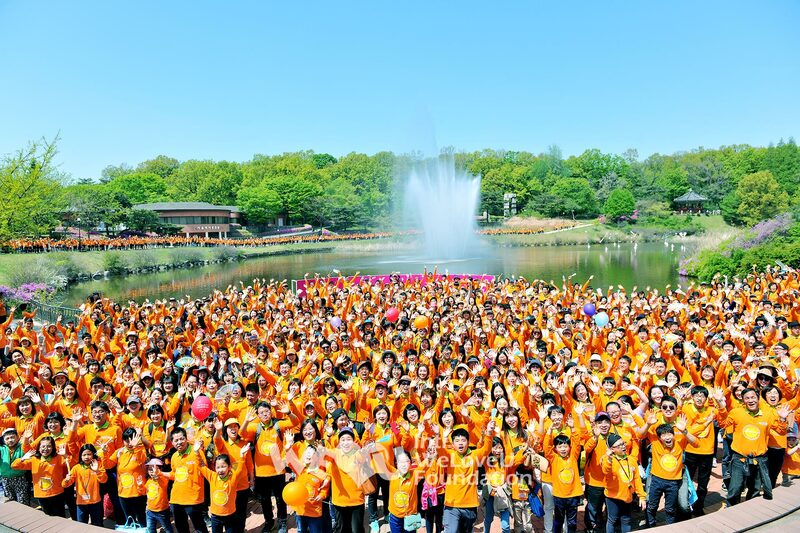 Let’s give hope and comfort to our global neighbors living lonely lives.” She added a message of comfort and encouragement to the neighbors, telling them to cheer up since we were backing them. 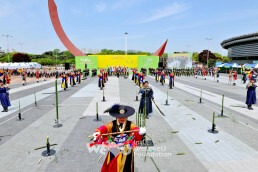 It was followed by the video congratulation messages of Mohammed Ali Nafti the Tunisian Ambassador, and of Nam Gyeong-pil the Gyeonggi Province Governor. 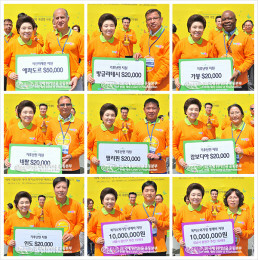 Then the donation delivery ceremony was held to help the earthquake victims in Ecuador; climate refugees in Gabon, Nepal, Bangladesh, the Philippines, Cambodia, and India; and to provide living expenses and medical expenses to households marginalized from welfare service in twelve autonomous communities in the capital area of Korea. 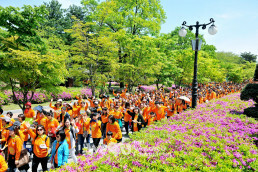 After finishing walking, the members gathered together by family and had a happy time, having lunch. 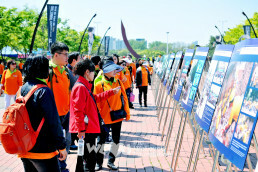 While looking around the photo exhibition, they understood the seriousness of climate disasters, and looked back at the past activities of the WeLoveU Foundation. 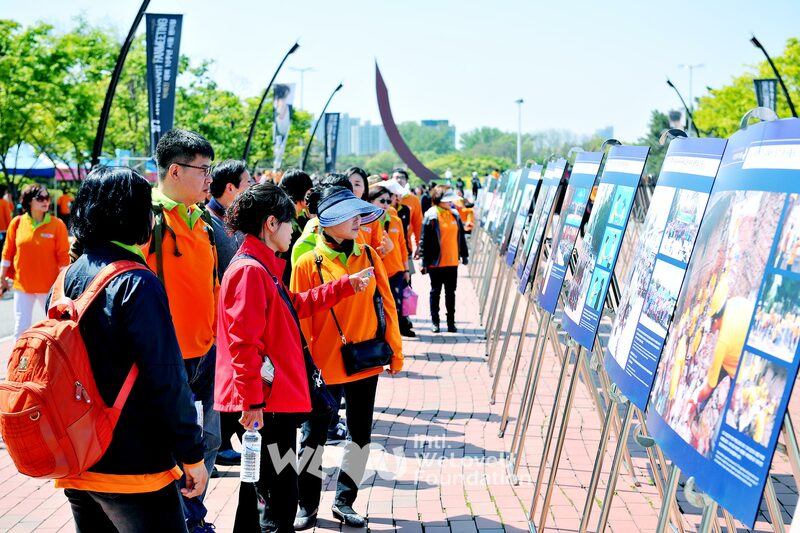 The members who looked around the exhibition said, “I thought helping neighbors was something difficult, but I’ve learned that I can help our neighbors just by walking like this,” and they sent a message of cheer to the Ecuadorian earthquake victims. 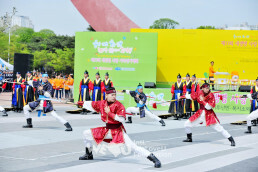 Jeon Hyeon-gap, a member from Dongdaemun-gu, Seoul, was happy to see him and his family in one of the walkathon pictures from a couple of years ago. 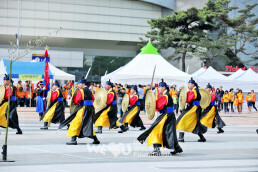 He said, “My son was a boy in the picture, but he is now a young adult. 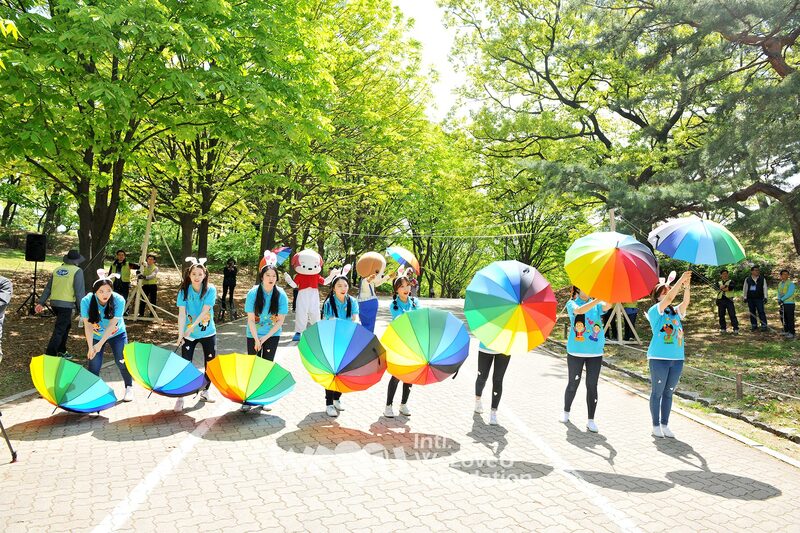 Every year, my family participates in the walkathon because we can spend a great time together and help our unfortunate neighbors as well.” Various events such as face-painting and family picture taking were prepared for the spring picnic of the members and their families. The foreign diplomats said that it was a meaningful and heart-moving event, and expressed their amazement and thankfulness for the event which gets bigger in size every year and for the help of the Foundation. 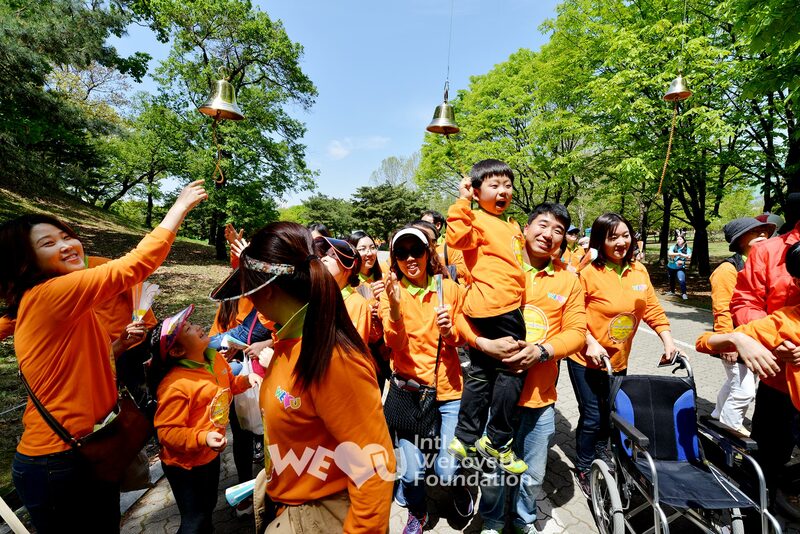 The Foundation members want to be companions of the neighbors who are having hard times, and deliver a mother’s love to them through the walkathon. 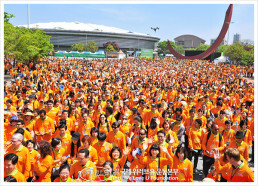 Obviously, the love of a mother was giving dreams and hope to our neighbors around the world.